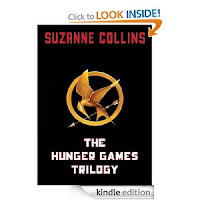 You don't have to have a Kindle in order to read eBooks -- there are many different FREE reading apps available that are compatible with Kindle downloads. Don't miss out on this great deal! 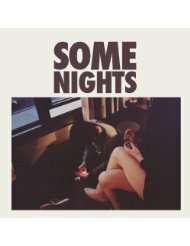 Amazon - Full Album Sale from $2.99! Need to add some new music to your collection? Make sure to head over and check out the hot Amazon mp3 sale where you can pick up full albums from popular artists for as little as $2.99 each! 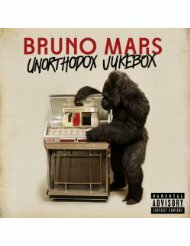 Choose from Bruno Mars, Muse, The Lumineers, Fun. and MORE! Crocs.com - 25% off Site-Wide! 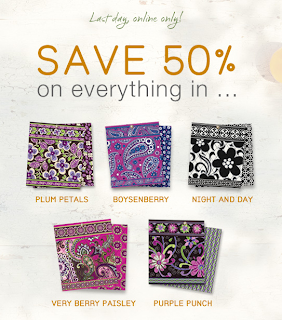 Save 50% on Everything in Plum Petals, Boysenberry, Night and Day, Very Berry Paisley and Purple Punch at Vera Bradley online. ENDS TODAY! Plus, enjoy FREE shipping on orders totaling $75 or more. 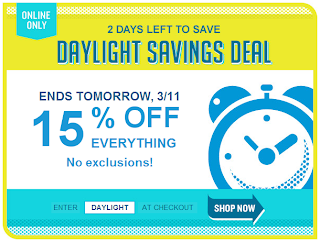 Enjoy a 15% discount at oldnavy.com (no exclusions) when you use promo code DAYLIGHT. Special offer ends Monday, March 11th. 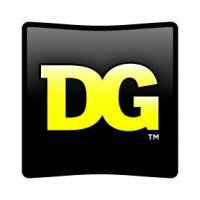 Philosophy.com - 20% off Today Only! 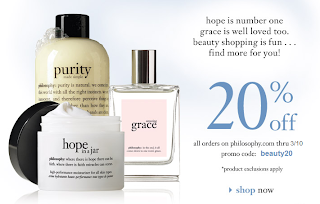 Take 20% off your philosophy.com order with promo code beauty20. Hurry - sale ends today!